Visitation for Billy Ray Hearn will take place Friday, April 24 from 4 p.m.-7 p.m. at BMI, located at 10 Music Sq. E.
Funeral services will take place Saturday, April 25 at 11 a.m., at Brentwood Baptist Church, located at 7777 Concord Road, Brentwood, TN. 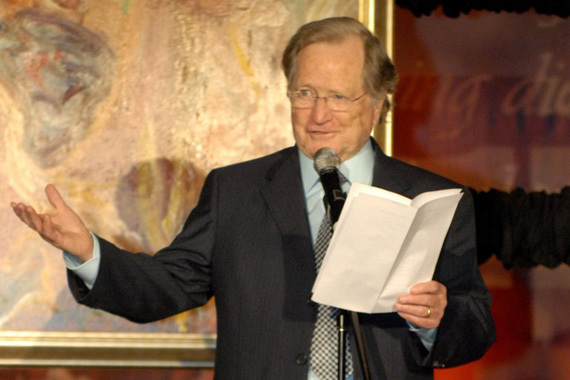 Billy Ray Hearn, an innovator in the Contemporary Christian music industry, has died. He was 85. Hearn began one of Contemporary Christian Music’s first record labels, Myrrh Records (part of Word Record Co.) in the 1970s. Myrrh released the early albums from Christian star Amy Grant, among others. Hearn was the director of music promotion and music publishing for Word until 1976, when he founded Sparrow Records. The company opened a Nashville office in 1986, and in 1991, Hearn moved the entire operation to Nashville. In 1992, Hearn sold Sparrow to EMI Music. Today, Billy Ray’s son Bill Hearn continues as president/CEO of Capitol Christian Music Group, home to Amy Grant, Michael W. Smith, tobyMac, David Crowder, Chris Tomlin, and more. A division of Universal Music Group, Capitol CMG includes Capitol CMG Label Group (Sparrow Records, ForeFront Records, sixstepsrecords, and Hillsong), Capitol CMG Publishing, Motown Gospel, and Capitol Christian Distribution. 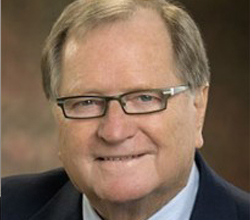 Billy Ray Hearn was inducted into the Gospel Music Hall of Fame in 1997, and has been honored with the Gospel Music Association’s Lifetime Achievement Award. The Hearns created the Martell Best Cellars Dinner, which has raised more than $2 million for the Frances Preston Labs at Vanderbilt Ingram Cancer Center. They also created the Sparrow Foundation, which has donated to institutions including Baylor University and New Hope Academy. Earlier this year, Billy Ray Hearn and Bill Hearn were honored with the Frances Preston Lifetime Music Industry Achievement Award from the T.J. Martell Foundation, which battles life-threatening illnesses. He was also the founder of T.J. Martell’s Best Cellars Dinner that has raised millions of dollars across the country in support of leukemia, cancer and AIDS research. 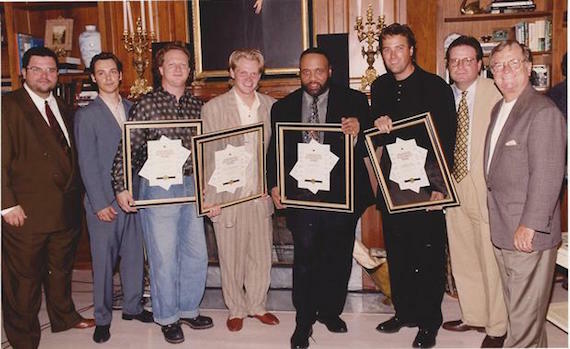 Sparrow Music Publishing Songwriting Achievement Awards presentations to Charlie Peacock, Steven Curtis Chapman, Andrae Crouch, and Michael W. Smith. Billy Ray Hearn is pictured on the right next to his son Bill Hearn.